September 9, 2014 August 2, 2017 - by James Colvin - 6 Comments. 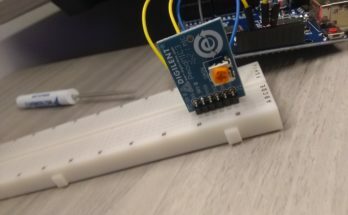 You may recall a post we had a few days back on the Pmods that offered a DAC. As I mentioned then, DACs are used for a wide variety of applications, but one of the most common ways that you see a DAC being used is in audio applications. Digilent’s Pmod line offers several audio peripheral modules that do just that. As a refresher, audio devices (such as an MP3 player) will take a digital signal and use their digital-to-analog converter to turn it into an analog voltage signal, which can in turn drive a speaker to output sound. The AMP3 and I²S Pmods incorporate such DACs into their design. The PmodAMP3 supports several audio data interface formats, such as the popular I²S and TDM interfaces. 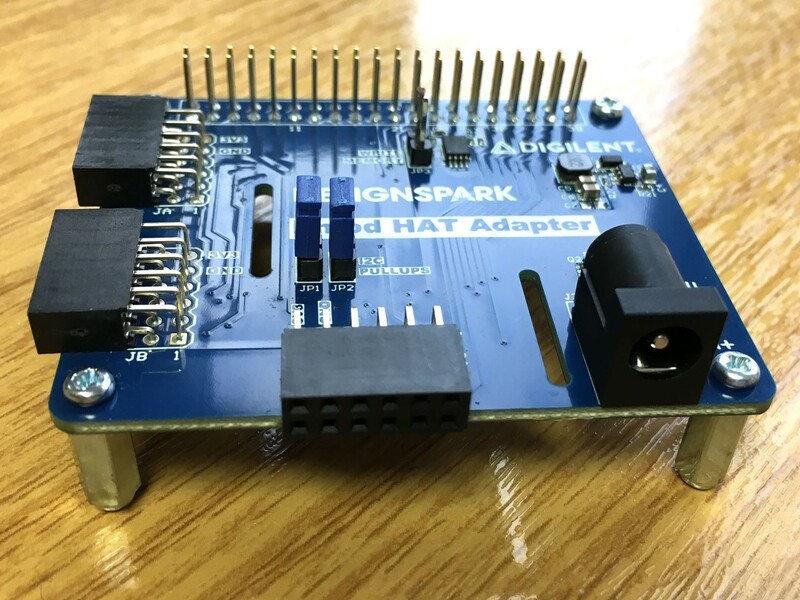 Operating under an easily achieved 3.3V (especially with Digilent system boards), this audio amplifier is configurable through I²C to adjust the sampling frequency, volume, and which speaker jack receives which data stream. The two speaker jacks are ideal for dedicated speakers to support each side of stereo sound. The PmodI²S is able to support all major audio data interface formats, including I²S, TDM, and MSB and LSB justified. With a variable operating range of 3V to 5V, this Pmod can accept 16 to 24 audio data bits at a time at a variety of popular sampling frequencies such as 48, 96, 192 kHz. It has a single stereo jack so you can easily plug in your earbuds and enjoy its 105 dynamic dB range. Digilent also offers two additional audio related Pmods–the PmodAMP2 and the PmodCON4. These two do not have a DAC of their own, but can easily be paired with other DACs, such as the DA1, to receive the appropriate analog signals. 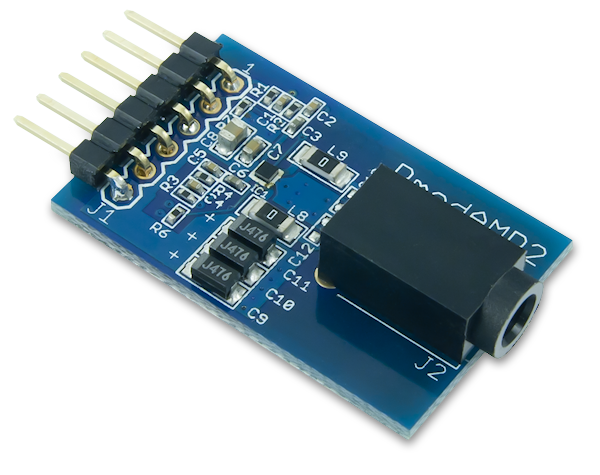 The PmodAMP2 is able to process both the analog signals from a DAC as well as digital PWM signals. Although the PWM signals are digital, a DAC is not needed to process them because PWM signals oscillate between high and low voltage states and can be adjusted so that the average of the signal (via an RC filter) nicely approximates a desired analog signal. 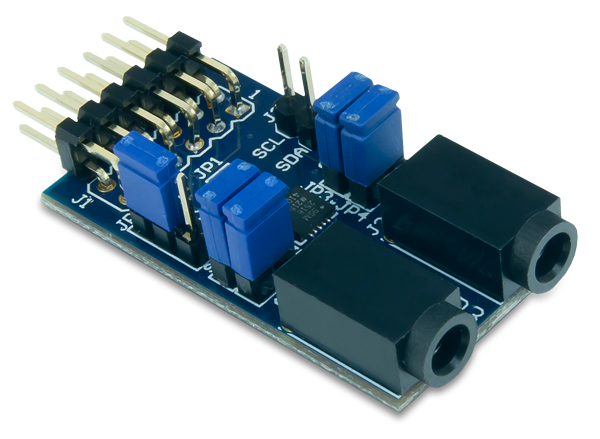 This module is able to operate anywhere between 2.5 and 5V and can amplify the monophonic audio with either a 6 or 12 dB gain. 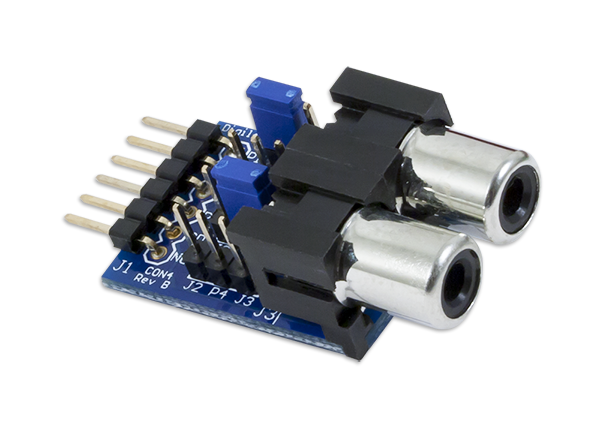 The PmodCON4 is able to accept analog signals from any of the four available input pins on it’s 6 pin header. These inputs can then be routed via the jumper blocks to either of the RCA audio jacks. For those of you that might not know them by name, the RCA audio jacks are what you use the red and white wires of the red, white, and yellow RCA cable set to connect your DVD player or similar devices into your TV. The CON4 is also able to accept analog signals from the RCA audio jack ends and transmit those signals to the 6 pin header side to be interpreted by an Analog-to-Digital Converter. Note that you will likely need a voltage level shifter for the ADC to properly interpret the audio signal because they are classically an AC signal biased around 0 V and many Analog-to-Digital converters do not readily accept voltages below 0 V.
Check out these Pmods, and come back soon for more in the Pmod series! Is there a technical reason why a pmod similar to PmodAMP2, which take PWM input, cannot instead take two PWM input for the left & right channel, and output both channel through a single jack ? This way, I could use an ubiquitous earphone, and get sound out to both earbuds. Please, let me know, if there is technical reason why there is only a single channel (mono). 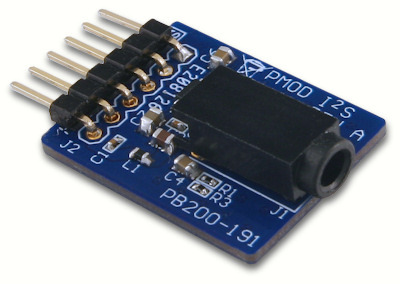 The PmodAMP2 is only mono because the on-board chip that it uses, Analog Devices SSM2377, only supports a mono sound output and is not able to perform any stereo applications. The PmodAMP3’s on-board chip, Analog Devices SSM2518, only accepts digital inputs and is unable to process PWM input signals. In principle, it would be possible to have the two outputs go to a single audio jack, but this Pmod was not designed to do so. You didn’t notice that the RCA connector is just an adapter and the pmod A/D modules can’t sample audio signals as configured. Why? Because consumer product analog audio is -1.414v to +1.414v at 0dBv full scale. (Professional audio is +/- 1.095v @ 0dBu). 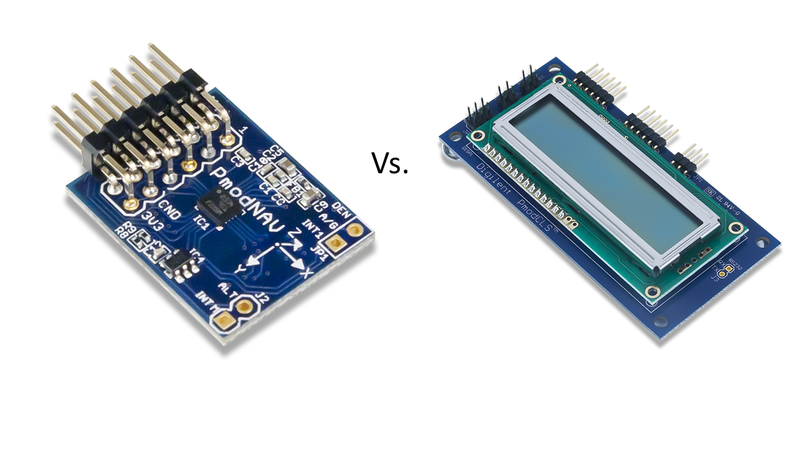 The pmod A/D converter modules are 0v to Vcc full scale which is 3v, or 5v depending on the host board. Even an audio device that happens to be AC coupled at its output, with a blocking capacitor or a matching transformer, will not be D.C. offset to Vcc/2. Driving the A/D input below ground won’t get useful samples and will damage the A/D. The user has to build an analog circuit to level shift the audio. The RCA module doesn’t connect pin 6 – Vcc on its board but it has the pin. Thank you for the feedback! You are definitely correct in that audio signals are AC signals, so many A/D modules (including all of the Digilent Pmods) will not correctly interpret the audio signal without a level shifter. You only mention analog signals for the CON4, but RCA jacks are also commonly used for digital S/PDIF audio transmission. Is there anything preventing me from receiving and sending digital audio over the CON4?